It is that time of year again, CareerZone is running our Mock Interview Madness contest. 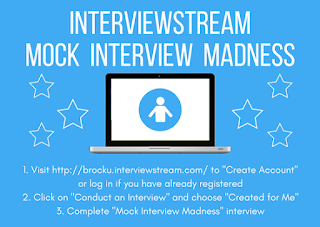 The Mock Interview Madness contest runs from March 1st 2019 - March 31st 2019 with schools across North America. The rules are simple, each school must get the highest amount of student participants. Participation takes only a few minutes!!! 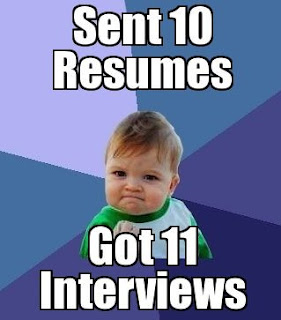 You just need to log into the InterviewStream site through careerzone.brocku.ca answer the one Mock Interview Madness question "Tell me about yourself." By simply answering this one Mock Interview Madness question you will be entered to win a $50.00 gift card. In addition you will be helping the Brock CareerZone team with winning the ultimate grand prize, a $500.00 Amazon gift card! Are you attending an upcoming interview or are you looking to improve your interview skills and etiquette, the InterviewStream application can help! 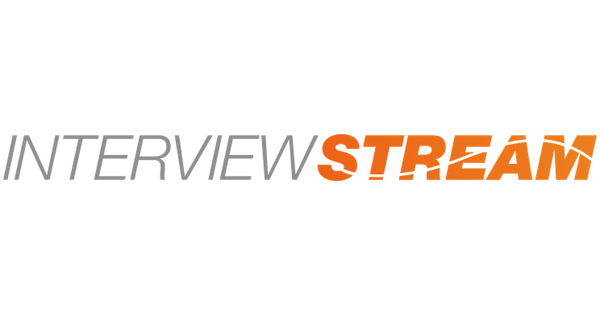 InterviewStream is an Interview tool, which uses webcam recording. This application which is accessible through the careerzone.brocku.ca website assists students with making an excellent first impression and setting one up for a successful interview. This tool provides feedback and tips of non-behaviour and communication missteps. PLUS gives students the opportunity to seek feedback from the CareerZone staff if you choose or from others -- friends, family, faculty. This application is also a great resource for self reflection. 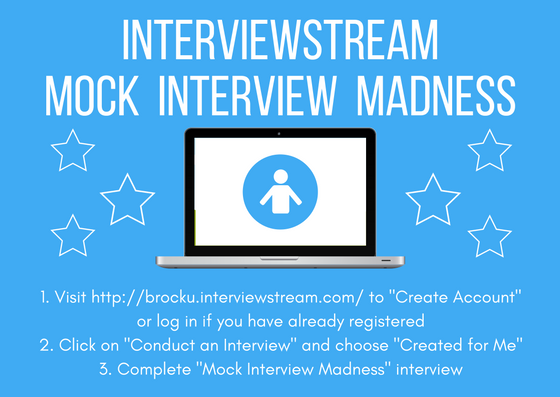 Check out the InterviewStream application & enter into the Mock Interview Madness competition. If you have any questions in regards of this contest or Interview preparation please stop by the CareerZone resource centre. 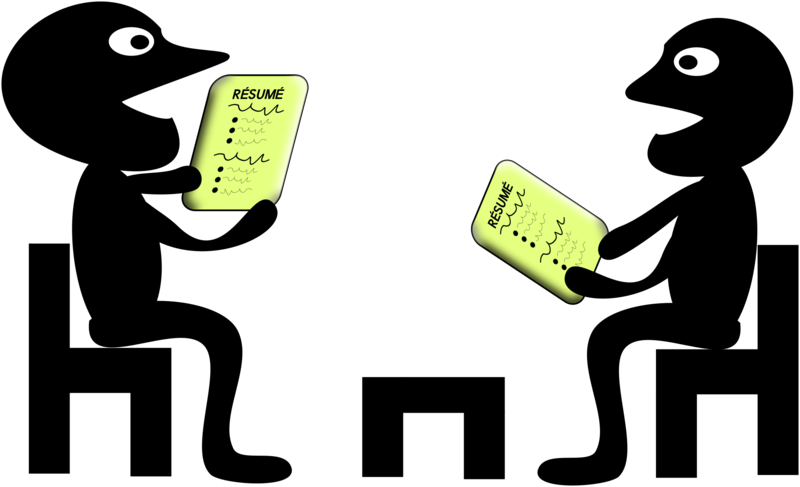 If you are having a hard time finding a job, it may be a lack of content on your document. So here are 4 different ways to enhance your document while simultaneously building transferable skills that you can use in your future career. Find an organization that aligns with your work interests and see if there are any unpaid opportunities to gain experience. Many companies are looking for volunteer help on projects because they cannot budget to hire another person. Therefore, volunteering allows you to gain experience in your field of interest (ultimately enhancing your document), while also helping the company get their work done in a timely manner. A win-win situation for both parties! As you move through your post-secondary education you will have the opportunity to do many assignments that can include an essay, a group presentation, a case study analysis, or field work for course credit. Though these may not seem directly related to your future career, these provide excellent opportunities for you to develop skills that are necessary in the workplace. This is why we encourage students to have an 'Academic Projects' section on their resume that highlights these experiences and what the students learned from them. This does take some reflection, but in the end these will help enhance your document and can set you apart from other candidates. Training you have received from previous positions or from your academic career can show that you have built skills others may lack. Traditionally certifications include SmartServe and CPR/First Aid, but these can also include Professional Communication, Project Management, Conflict Resolution Workshops or Mental Health Intervention. These can showcase that you have gone above and beyond to further foster critical skills for your own career development. The fourth and final way to enhance your resume is to include any special skills you have acquired, especially language and technical skills. Having the ability to communicate in multiple languages or even one aside from English, or having the knowledge of a specific software can make you a greater asset to the company. We only have over a month left of Canada Career Month! Isn't it crazy how fast November has gone?! Holidays are quickly approaching - and so are exams. This month, the Career Assistant team has had the opportunity to research and highlight many different careers, share some career tips with Brock students and feature some successful Brock alumni! Campus Career has teamed up with Goodman Career and Co-op Career to bring some fun and educational content about careers and how students can one day get them! Many people are unaware of the resources they have on campus that can help guide them to their end goals. They are also unaware of the number of possibilities that can come out of their university career. The Career, Co-op and Experiential Education team wants to help students get their career conversation started by educating them on the opportunities that they have right in front of them! Job hunting and preparing for a future career can be very scary and nerve-wracking but the team is here to help lessen the fears. Canada Career Month started off by featuring some alumni profiles of former Brock University students that have used their knowledge and experiences to get to their current positions. #CareerZoneTIPS were posted every day as quick, little facts about career-related topics. The second week of the month also featured International Week, where International alumni were highlighted and students explained how Goodman and/or Co-op has helped them excel internationally. This week, different career profiles have been featured to inform students of the many possibilities and how the team can help push them forward. In the final week of Canada Career Month, we encourage students to talk about why their experiences will benefit them in their journey to finding a career. This week’s blog post will focus on the variety of connections and resources that Brock CareerZone has for students to gain opportunities to work or volunteer worldwide. Volunteering or working abroad gives individuals exposure to new cultures and countries. Engaging in employment and volunteer positions abroad enables one to gain a global perspective, which many employers are looking for in candidates. Throughout this blog post we will highlight Career Zones “Going Global” resource as well as opportunities to guide students through Internships, Work placements and Volunteer positions abroad. Going Global is a country-specific database resource directed to career and employment and tips for going abroad. In summary it is a major search tool for finding worldwide jobs and internship listings. Career Zone Café will also be holding an upcoming workshop for a Going Global demonstration – if you are interested in learning more please register through the events page on careerzone.brocku.ca. The session will be taking place on November 12th 2018 from 1:30 pm – 2:00 pm. Internships are another opportunity for individuals to learn another language and experience a different culture at the same time gaining valuable work experience. Learning about ones professional career from another country can be beneficial and set you apart from others in your job markets, as you have some unique experiences. Below we have listed some resources, if you are looking for further information in regards of Internships Abroad visit careerzone.brocku.ca under the resources tab. For employers, global perspective within a candidate is an attractive attribute. Working Abroad gives individuals the opportunity to make connections with a variety of people as well as gain experience through travel and learning about other countries. Working Abroad can provide you with skills that you can bring to a variety of positions. 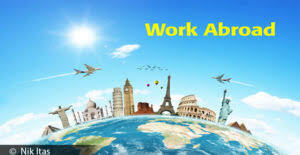 CareerZone has a variety of resources to help with Job Search Abroad. Not only is job search important when seeking employment Abroad it is also important to ensure you are applying with the appropriate application documentation. In addition to work placements and internship programs various agencies run volunteer abroad placements. Volunteering placements abroad give individuals the opportunity to make a difference in addition to experiencing a new culture and country. Brock runs a variety of international volunteer programs as well as provides an abundance of resources for those interested in making a difference in a new country. For more information about Working and Volunteering Abroad please visit careerzone.brocku.ca. Next week International Week is taking place at Brock, International Week will run from November 12th 2018 – November 16th 2018. Keep a lookout on the CareerZone event page for any events that week. Our blog post for next week will highlight Studying Abroad opportunities. To learn more about these, and other career options, visit careerzone.brocku.ca or drop into CareerZone on Monday-Friday from 8:30-4:30. We have also added extended hours on Tuesday’s from 4:30-6:30.